Hi everyone, Steph here and I am so excited to be a part of this fabulous design team. Do you ever have a day where you just want to play? A day where you have no idea what you are going to create? A day where you just want to have fun and see where the fun takes you? 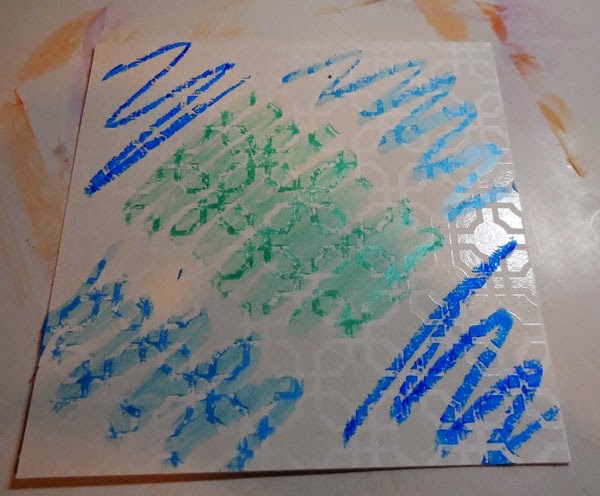 This was my day to play with resist papers and Faber Castell Gelatos. These are amazing coloring mediums and I know there so many things you can do if only you had the time to play. 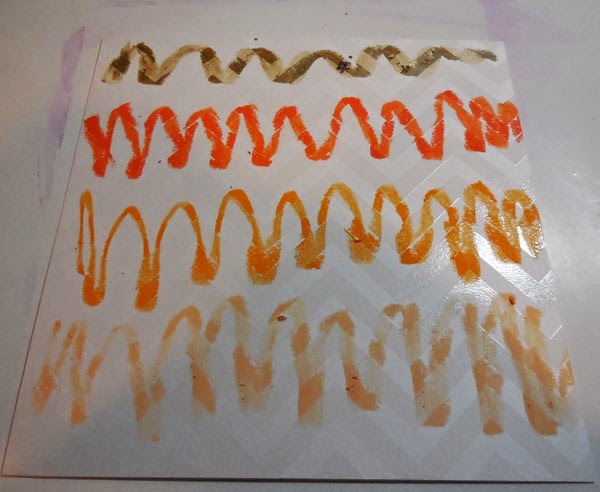 I picked up this Heidi swap paper pad recently and because of the cool resist nature of the papers, they really lend themselves perfectly to Gelatos. Not totally sure what I was going to do, I cut apart many of the papers and started adding color with Gelatos. Eventually this project morphed into a mini book. I cut chipboard into 6" x 6" pieces, planning to use them as my covers. But once I started playing with Gelatos, I decided to add covers to my covers! I created Gelato spritzers by cutting pieces of Gelatos and mixing them with water in a spray bottle. After a few minutes of shaking, they dissolve and you get this amazing color spritzer. I wish I had a bottle for each color I created! 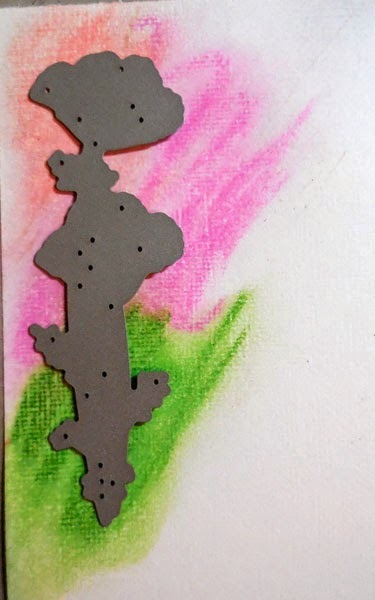 I then used the spritzers to spritz the background of the cover pieces. They didn't take long to dry so I was able to continuing working. 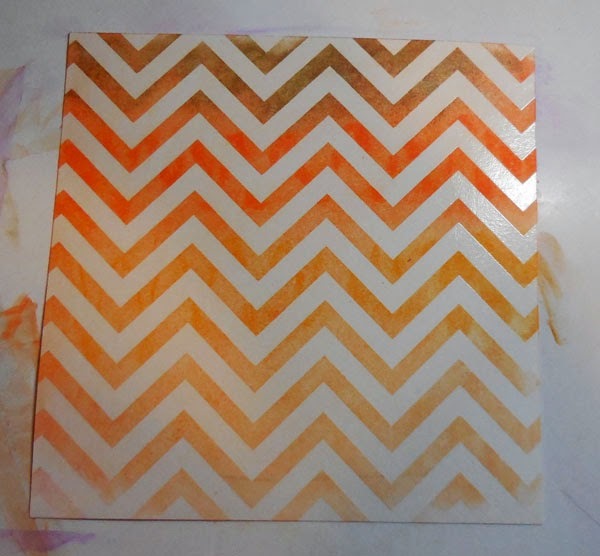 Then I decided to play with all kinds of mediums on the cover. 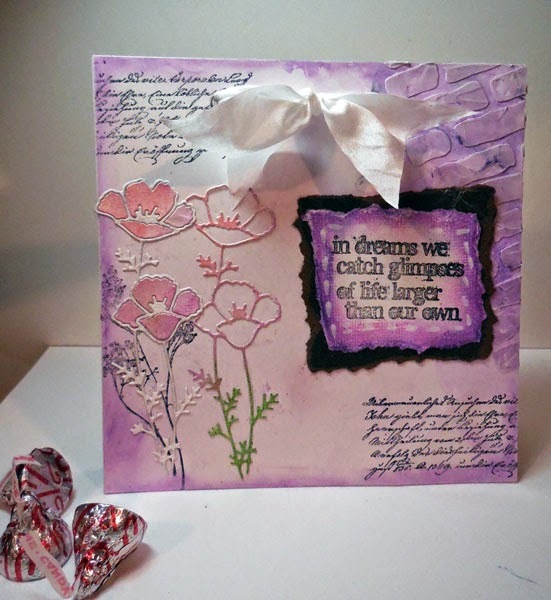 I used a Crafter's Workshop stencil on the right side and added Embossing Paste through the stencil with a palette knife. 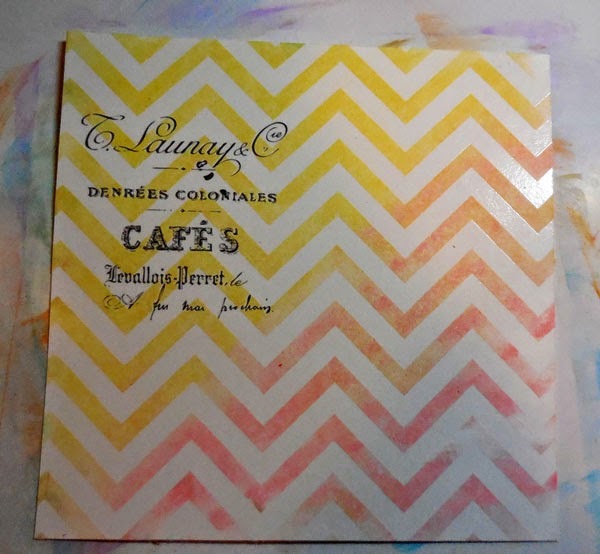 Once dry, I added color with Gelatos and a Tim Holtz Water Brush. I love how it gives the cover some nice dimension. Next, a small branch as well as script stamps were stamped with Ranger Jet Black Archival Ink. Since I knew I was going to add additional colors, I needed to use a permanent ink. 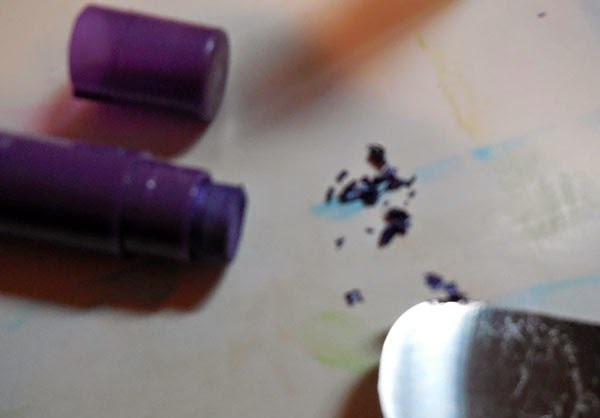 I then rubbed purple Gelato all around the edges of the cover using both a water brush and my finger as I wanted a blended (not streaked) look, but also something slightly imperfect. 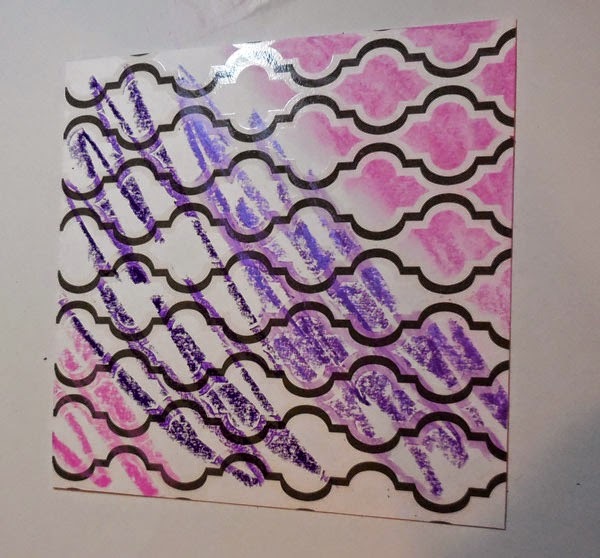 I have a very delicate die that I wanted to use, so I colored white cardstock with coral, pink, yellow and green Gelatos - blending them with water. Once dry, I placed the die on top and ran it through my die cut machine. 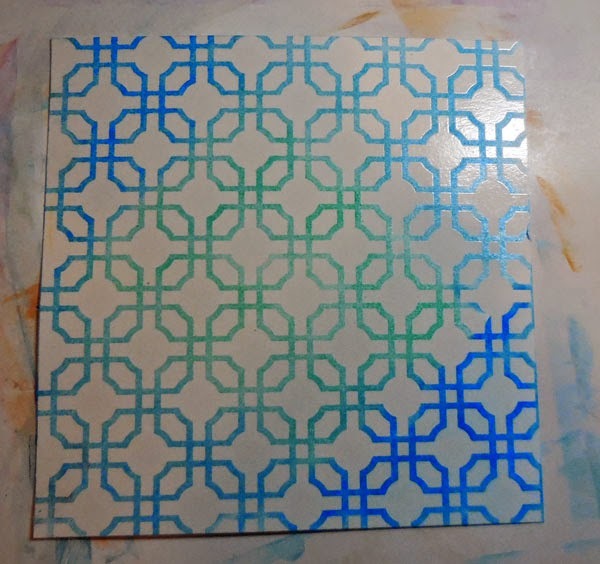 The resulting die cut is very pretty. Cutting assorted interior pages 5 1/2" x 5 1/2", I used Gelatos to scribble color on the pages then used a water brush to smooth out the colors. 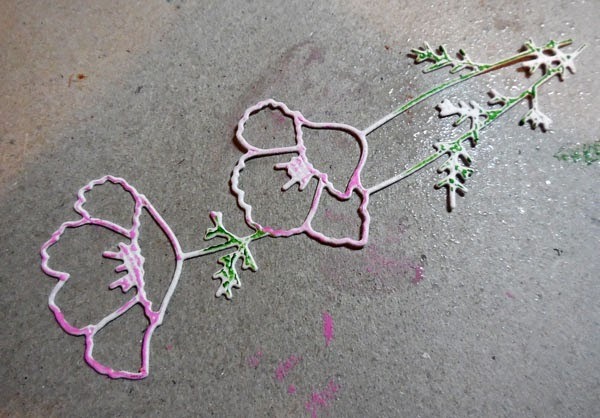 Using a paper towel helps buff the colors. I punched holes in all the pages and tied the book together with May Arts ribbon. 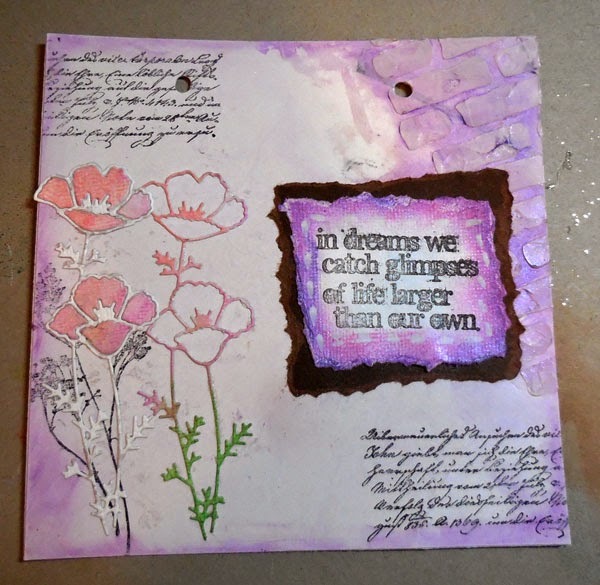 Then, finding a stamp I liked, I stamped it on a scrap of resist paper in Archival Ink, tore the edges and added more Gelatos. 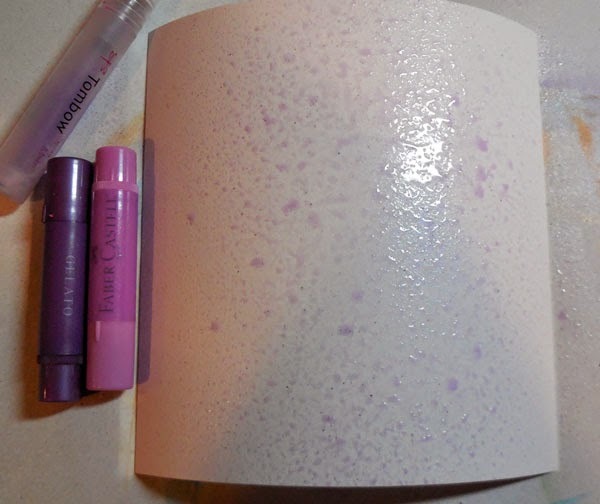 Once I placed in on the cover, I used a Faber Castell White Stampers Brush to draw some dash lines around it. Now this little book has become my little book of dreams. It is just waiting for me to add some little poems and quotes that I find along my journey. I hope you like it and I hope I've inspired you to pull out your supplies and find some time to just play!!! This is beautiful! 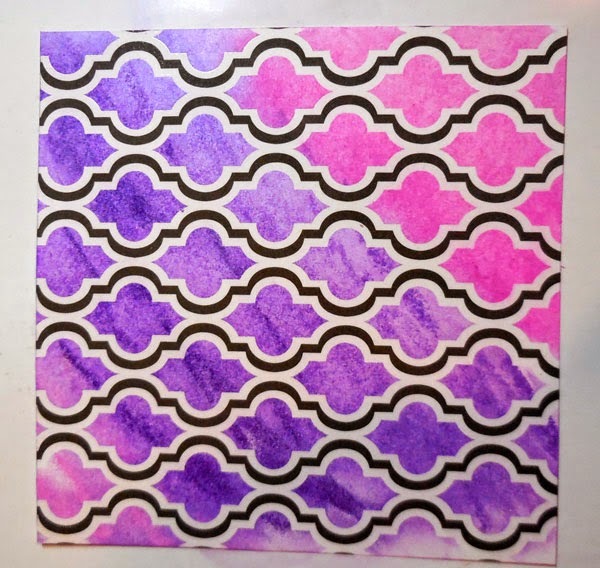 Loved ur tecnique of coloring the cardstock and then die cutting, it looks very pretty. What a sweet colorful place to keep some special thoughts Steph! love all the ways you played with the Gelatos!